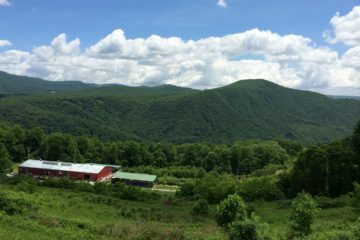 0: Number of trees on top of Roan High Knob and surrounding balds, which are covered with grass and granite, offering hikers 360 degree views of the surrounding mountains and valleys. 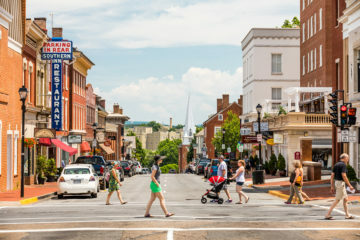 According to the Appalachian Trail Conservancy’s registry statistics 1,150 hikers headed out from Georgia’s Springer Mountain in the hopes of completing the 2,175-mile A.T.
As of October, 130 had completed the trail and 659 had reached the mid-point at Harper’s Ferry, W.Va. FAVORITE SECTION OF THE A.T.
It’s no surprise that the A.T. is constantly on our reader’s minds as the favorite trail in the region. It’s our cultural icon and claim to fame in the outdoor world. Anyone who has a remote fondness for hiking has a favorite section of the A.T., but this year our readers preferred getting their boots dirty on the epic stretch in the Roan Mountains. Hikers that head up to the highlands on the Tennessee/North Carolina border become engulfed in rhodo gardens. The ridgeline between the summit of Roan High Knob and Roan High Bluff holds the famous 660 acres of rhododendron-considered the largest stand in the world. The best way to take in the Roan experience is a near 20-mile stretch on the A.T. that runs from Roan High Knob to Highway 19E. 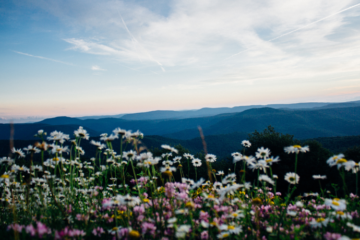 With much of it near or over 6,000 feet, the hike crosses six bald grassy peaks including Appalachian favorites like Grassy Ridge, Big Yellow Mountain, and Little and Big Hump Mountains. 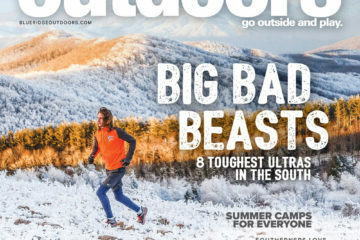 Other A.T. faves receiving high reader praise included North Carolina’s 4,629-foot summit Max Patch; the highest point on the trail, Clingman’s Dome; Virginia’s highest peak, the 5,729-foot Mount Rogers; and the 100-mile stretch in Shenandoah National Park. There’s nothing like stretching out under the stars-falling into a deep slumber under the deep hum of the desolate night. This year Blue Ridge backpackers voted Linville Gorge as the best spot for backcountry solitude and serenity. Tucked away in a remote corner of Pisgah National Forest, between Lake James and Grandfather Mountain, the “Grand Canyon of the East” extends 14 miles long and 2,000 feet deep. 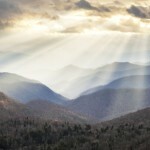 The surrounding 12,000-acre Linville Gorge Wilderness is bisected by the chundering Linville River, with the vast Jonas Ridge on the east and Linville Mountain to the west. It’s rocky, rugged, and not easy to reach. Trust us, you can find a place to be alone here. 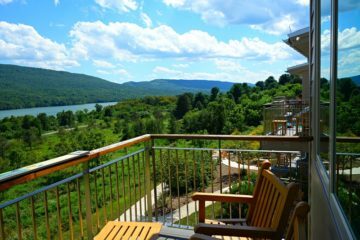 Other favorites for a night out in the backcountry include Douthat State Park; Shining Rock Wilderness; Mortimer Campground; and Peaks of Otter. Chances are most hikers in the Blue Ridge have at some point walked in the footprint of the Potomac Appalachian Trail Hiking Club. The venerable non-profit is responsible for 1,000 miles of trails, 1,000 acres of land, and nearly 60 shelters and in Virginia, West Virginia, Maryland, and Pennsylvania, as well as an extensive series of guide books and trail maps. The Washington, D.C.,-based club was formed in 1927 to maintain a then-new section of the Appalachian Trail, and through its eight-decade existence has expanded to over 7,000 members and 2,500 regular volunteers that spend their weekends building and maintaining some of the most beloved footpaths in the region, including the A.T. and its neighbors, the 252-mile Tuscarora Trail and the 71-mile Massanutten Trail. The club has five chapters that lead all hikes in the Northern Blue Ridge every weekend, so next time you see them on trails give them a nod of thanks. Runners-Up: Appalachian Trail Conservancy, Carolina Mountain Club, Georgia Appalachian Trail Club, Washington Women Outdoors, Sierra Club. O-Hill is not your average neighborhood park. It’s steep and narrow singletrack trails are the perfect place to get your heart pumping without having to leave Charlottesville’s city limits, as the 1,000-foot mountain sits in the backyard of the University of Virginia. On any given afternoon students and locals are on Observatory Hill for a head-clearing hike, quick trail run, or mountain bike ride. It’s no surprise then that our readers have noticed some wear and tear. 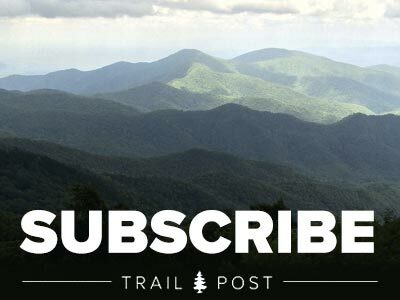 Other votes for torn up trails came in for the system at Asheville’s Bent Creek Experimental Forest; the popular 70-mile section of Appalachian Trail in Great Smoky Mountains National Park; and Shenandoah National Park’s ubiquitous Old Rag, which attracts over 100,000 hikers to its inevitably crowded summit. Rocket City Marathon, Huntsville, Ala.
Dupont Forest Trail Marathon, Brevard, N.C. Grandfather Mountain Marathon, Boone, N.C.
Kiawah Island Marathon, Kiawah Island, S.C.
Shamrock Marathon, Virginia Beach, Va.
Atlanta Half Marathon, Atlanta, Ga.
Rock n Roll Half Marathon, Virginia Beach, Va.
SouthEnd Half Marathon, Charlotte, N.C.
Knoxville Half Marathon, Knoxville, Tenn.
Tybee Island Half Marathon, Tybee Island, Ga.
Corporate Cup Half Marathon, Charlotte, N.C.
Parkersburg Half Marathon, Parkersburg, W.Va.
Asheville Half Marathon, Asheville, N.C.
Myrtle Beach Half Marathon, Myrtle Beach, S.C.
Inside-Out Half Marathon, Raleigh, N.C.
On the first weekend of each November, Shut-In runners take on a beastly climb of 17.8 miles and over 5,000 feet as they make a brutal push toward the 5,721-foot summit of Mount Pisgah, N.C. Due to trail regulations, the race can only accommodate 175 runners, so hundreds are “shut-out” each year. Many watch from the sidelines along the Blue Ridge Parkway, which parallels the trail, to cheer the runners and soak up the spectacular fall scenery. This Winston Salem-based running club is one of the oldest and largest in North Carolina. In addition to holding a variety of group runs almost every day of the week, the 600-member group, which turns 30 next year, also hosts some of the region’s favorite races including the Salem Lake 30K and the frigid but fun Frosty Lake 50K in early January. This group also likes to give running a creative spin. In addition to offering hill workouts and relaxed long-distance runs all week long, they also offer playful social jogs including Breakfast Runs, February’s Chili Shag Run, and a St. Patrick’s Day Hash Run. Their most popular event is the nationally recognized Ultimate Runner-a 20-year-old race that finds runners each competing in five short-distance events through the day. Bass Lake-Moses Cone Trail System, N.C.
Mountains to Sea Trail, N.C.
Camp; O Canal Towpath, D.C.
You start at Old Fort, N.C. (elevation 1,400 feet) and climb to just about the top of Mount Mitchell, the tallest mountain east of the Rockies at 6,684 feet. Along the way you ride 65 miles and climb more than 11,000 feet. It sounds insane, but the craziest thing about the Off Road Assault on Mount Mitchell, is that over 360 people actually pay money to torture themselves like this each year. The good news? Most of the climbing is on fire roads and most of the downhill is on singletrack. Jeremiah Bishop set a new course record this year at 5:08. Blue Ridge Bicycle Club, N.C.
They’ve been bridging the gap between roadies and dirt fiends for the past 30 years, have more weekly rides than most other clubs put together, help build and maintain trail systems, and are one of the loudest voices for road cycling advocates in the Southeast. If you bike in Western North Carolina, there’s a good chance that the Blue Ridge Bicycle Club is responsible for your good biking fortune. They spearhead the Bicycle Pedestrian Task Force, produce road and trail maps, organize popular rides like the Hilly Hellacious Hundred, lobby for the protection of public lands and greenspaces, and are a leading voice for bicycle advocacy and safety. Blue Ridge Bicycle Club, Va. Picking your favorite mountain bike trail is probably as tough as picking your favorite beer. There are just so many options, and you’re loyal to all of them. Still, the majority of our readers pulled together and chose Dupont State Forest as their number one fat tire trail system in all of the land. Perhaps it’s the 80+ miles of trails, or the half dozen trailside waterfalls. Or maybe it’s the abundance of slickrock. Or the lack of crowds. Or the fact that IMBA chose Dupont as an EPIC Ride. Whatever the reason, all hail Dupont. Runners Up: Fountainhead Regional Park, Va.: Ten miles of singletrack, rock gardens, and constant elevation change in a forest situated within the suburban sprawl of D.C. Goes to show what a dedicated bike club can do with the right opportunity. Pinhoti Trail, Ga.: Technically, it’s a long distance hiking trail, but bikes are kosher for the most part, making it one of the longest, skinniest trail systems in the Southeast. The favorite section of fat tire enthusiasts is “The Snake,” a 32-mile out and back in Northwest Georgia that hosts the ever-popular Snake Creek Gap Time Trial. Bridge to Bridge Incredible Century, Lenoir, N.C.
It’s hard to say what you love most about the Bridge to Bridge: the scenic ride along the Blue Ridge Parkway, the beastly climb up Grandfather Mountain, the summit finish, or the always tasty pasta after the race. The Bridge to Bridge attracts more than 600 riders every year and capitalizes on the best cycling the High Country has to offer. Known among veteran riders as “100 miles of pure hill,” the B2B takes riders from Downtown Lenoir to the swinging bridge on Grandfather Mountain. Mountains of Misery, Radford, Va. Blood Sweat and Gears, Boone, N.C.
Hilly Hellacious Hundred, Asheville, N.C.
Six Gap Century, Dahlonega, Ga.
3-State, 3-Mountain Challenge, Chattanooga, Tenn.
Potomac Pedaler 100, Berryville, Va.
Applegate has been a staple on the national cycling scene for years, winning the National Road Race Championship in 2001, nailing half a dozen podium finishes at 24 hour mountain bike races, and pushing the limits at brutal cyclocross events. But in 2006, the veteran cyclist reached new levels by claiming the Masters National Time Trial Championship, the Elite Mixed Tandem National Championship (with his wife Cara McCauley-also an elite cyclist), and the Men’s Tandem National Championship. If that’s not enough, Andy went over to Europe and placed fifth at the Masters World Time Trial Championship, only 32 seconds behind the winner. And he did it on a borrowed bike (Applegate’s bike was stolen the night before the race). If you’re on the slopes and you catch a glimpse of some spandex clad skier with a number stapled to their chest cruising by you at god-like speeds, chances are it’s a Crescent Ski Council member. The umbrella group incorporates 22 clubs, has 6,000 members, and organizes the most extensive race season on southern snow. Not to mention the 40 club trips across the U.S. and beyond that Council members are invited to every year. Edge of the World, N.C. Gather all the best snowboarders at one roving competition, make them style the toughest hits, rails, and features on any park this side of the Mason Dixon, give the contest some street cred by making it the only USSA event in the South, hire a DJ, attract some snowbunnies, and what do you get? You get our readers’ favorite snowboard competition: Edge of the World. Cupp Run – Snowshoe Mountain Resort, W.Va.
A mile and a half of bumps with a bar at the bottom. You’d be hard pressed to find those sort of attributes at ski runs in the Rockies. Cupp boasts a 1,500 foot vertical drop and has bumps so big that small children have been known to get lost in the gullies between. Seriously, this is the kind of run that demands a mid-way break from even the toughest skiers. But like we said, there’s a bar at the bottom, so motivation is never really a problem. Cliffhanger at Wintergreen, Va. Cliffhanger is a double black split between two distinct runs, Upper Cliffhanger and Lower Cliffhanger, both of which are gnarly, but what readers really love about the run is that it resides solely in the expert only Highlands area, which is serviced by its own high speed lift. This means you don’t have to worry about wannabes migrating from the bunny slopes straight into the path of your killer descent. A soft spot in our readers’ hearts was also reserved for Massanutten’s Dixie Dare, which sounds remotely like a challenge that involves illegal fireworks and a sixer of Budweiser Tallboys. Blue Ridge Double Cross, Wintergreen, Va. Put four skiers or four boarders at the top of a narrow run filled with whoop-de-doos, banked turns, kicks, and maybe a terrain park feature or two, and tell them fastest one down wins free gear. Repeat until you have the fastest skier and boarder on the mountain. That’s the concept behind the Blue Ridge Double Cross at Wintergreen Resort, the only boarder and skier cross event in the Southeast. It’s fast, sometimes brutal, and always a crowd pleaser, and it’s in a dead tie with the Snowshoe 24 for your favorite winter event. Snowshoe 24 is where endurance racing meets downhill skiing. Last year, 175 skiers raced around the clock for $7,500 in cash and prizes. They skied down 650 vertical feet, rode the lift back to the top, and skied it again…for 24 hours straight. Total laps from all teams at the race: 10,268. Forget the ginormous size of the resort, what really appeals to “knuckle draggers” is Snowshoe’s commitment to the snowboarding culture. Snowshoe has a solid snowboard race team filled with emerging talent, a slew of boarding contests throughout the season, more rails than a train depot, and a variety of terrain parks with features ranging from low hits to pro-quality half pipes. Better still, the parks at Snowshoe have been consistently open by Christmas while most other resorts in the Southeast have been struggling to keep snow on their main trails. Runner Up: Appalachian Ski Resort. The rails and fun boxes at App in North Carolina are, in the parlance of our times, sick. You want a rainbow rail? They got a rainbow rail. You want a wall ride? They got a wall ride. And for the 06-07 season, App is debuting an interactive website that tells you exactly where the features sit inside the park. It’s hard to say what’s more treacherous: the mile of continuous class V+ water that comprises the majority of the Lower Cullasaja, or the ridiculously steep access trail to the put in. Once you’ve navigated the 60-degree bank littered with poison ivy vines that some joker decided to call a trail, the real excitement starts. The two-mile run begins at the base of 250-foot Cullasaja Falls and travels through a tight, boulder strewn gorge that drops an average of 184 feet per mile. You come to the first rapid almost immediately after securing your skirt (class IV+ First Drop), then it’s non-stop class V+ water with almost no room for resting and absolutely no room for error. The toughest of the rapids? Eclipse, a V+ beast encompassing three back-to-back vertical drops of eight feet or more finishing off with a hole that turns creekers into rodeo clowns, whether they like it or not. The creek is riddled with underwater caves, sieves, streamers, and mandatory portages. Some say it’s more punishing than fun. But you like that, don’t you, you sick bastards. Runners Up: Wilson’s Creek, N.C.; Big Creek, N.C.; Laurel, N.C.; and the Cascades of Nantahala, N.C.
Not since the opening sequence of Magnum has sea kayaking received so much attention. Flat-water paddling is one of the fastest growing sports in the country, and Lake Jocassee, with its waterfalls and miles of pristine shoreline, pulled in top honors this year. Our readers are also crazy about the Chesapeake Bay, particularly Assateague Island National Seashore. The constantly shifting barrier island stretches for 37 miles across the Maryland/Virginia border, offering sea kayakers a bounty of tidal creeks and open water to explore. Assateague, which is run by the National Park Service, has campsites reserved specifically for paddlers. Chincoteague Bay, which runs between the mainland and Assateague Island, is riddled with kayak trails through marshlands, forested islands, and tidal creeks. Gauley Fest, Gauley River, W.Va.
Five thousand plus hydro-junkies converging onto one of America’s most beloved big water rivers for a weekend bash of beer, bands, racing, and boxing-what’s not to love? Every September, paddlers make the pilgrimage to the John Holmes of all river festivals. It’s a mass exodus unheard of outside of the world of lemurs. If they can’t get off work, they quit their jobs. If they can’t scrounge up enough gas money, they hitch a ride. 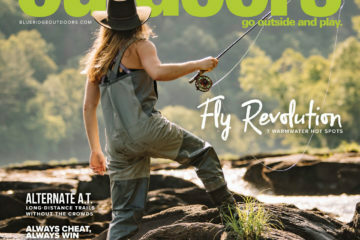 Runners Up: Potomac Whitewater Fest made a strong showing in our reader poll, as did the Cheat River Fest, French Broad River Fest, and Russell Fork Rendezvous. The Secret Spot, Nolichucky, Tenn. The class II+ wave has gone from underground local’s secret to common knowledge in the last few years, but don’t let that discourage you. This classic park-and-play wave can reach a good four feet and is reputed to hold boaters longer than an alligator drowning its prey-but in a good way. Runner Up: Hell Hole, Ocoee River, Tenn.
4:32: Tommy Hilleke’s winning time (minutes: seconds) in the tenth annual Green River Race in November 2005. 12: Number of dams AW has removed across the country. 100: Number of hydropower dam relicenses AW has negotiated in favor of recreational releases. 168: Number of releases AW secured in 2006 on the Lower Tuckasegee alone. “The river drops 85 feet in a quarter-mile, so you get lots of whitewater, and it’s all inside a narrow gorge. It’s a cool place to be. The Corkscrew is a cool rapid within the Five Falls. It’s difficult to do correctly, so it’s a rush when you get it right. It’s also got a nice wave at the bottom where you can stand the raft straight up.” -Rhett Pruitt, guide and operations manager for Wildwater Ltd., a rafting service on the Chattooga. For the past 10 years Carolina Climbers Coalition (CCC) has been a successful grassroots climbing group, but the vision of Sean Cobourn has turned the small nonprofit into a major player on the access front. A lawyer by day, Cobourn has taken on another full-time job as the president of CCC for the past two years. His work has helped protect the revered climbing area Rumbling Bald as part of the new Hickory Nut Gorge State Park. 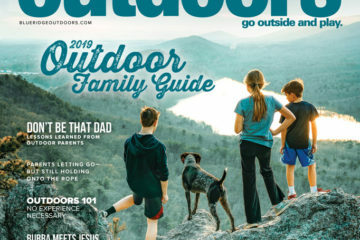 And earlier this year Cobourn and the CCC set big precedent in the access fight when they purchased 50 acres of climbing rock on Laurel Knob-a 1,200-foot cliff in Western North Carolina near Cashiers. A climber for 31 years, Cobourn has gone above and beyond for the sport that he loves. As president, he helped raise $250,000 to purchase Laurel Knob. He also credits fellow CCC member John Meyer (another BRO reader nominee) for doing a lot of the legwork in making the acquisition happen. Cobourn will be passing the torch as president at the end of the year, but his commitment to the access fight will continue with work in developing Laurel Knob’s climbing routes. “The sport itself has given me a lot of satisfaction, and this has just been my way of giving back,” he says. Climbers hungry for fresh rock know they can satisfy their appetites at the New. The 63,000 acres of the New River Gorge National River has over 1,500 routes on 10 miles of steep cliff line. The New was discovered by climbers in the late 1970s when the National Park Service assumed protection of the amazing bounty of hard sandstone cliffs that line the rim of the gorge. It’s filled with slabs from 30 to 120 feet high with featured rock that has an abundance of crack and face routes for rock stars to test their mettle with forearm-burning overhangs and tiny technical crags. The rock has become world famous, especially for the bounty of routes on the tall, steep cliffs of Endless Wall, where more experienced climbers can get their fill of 5.9-5.10 trad and sport routes. The Triple Crown Bouldering Series gives the Blue Ridge national cred on the climbing scene. The three-event comp attracts some of the best bouldering elites in the world to the South three times a year in the fall. The series kicks off with Hound Ears in Boone, N.C., where every year the 400 climbers that register in time can’t wait for the upscale Hound Ears Club to open its gates (it only happens once a year) to the goldmine boulder field along its ridgeline. With crimpers, pockets, and crazy top outs on epic problems like The Blade and Damage Incorporated, the boulders at Hound Ears have something for everyone. The Tiple Crown Series then moves on to Horse Pens-40 (November 4) in Steele, Ala., and The Stone Fort (December 2) in Chattanooga, Tenn. Most Likely Place to Do It: Bridge Day, New River Gorge, W.Va., when base jumping is legalized for six hours every October. Nestled inside the 10,000-acre wilderness area of the same name, Saint Mary’s is a short but wide waterfall dropping into a miniature, stony canyon. It’s picturesque and only a couple of miles from the parkway, making it a popular dayhike. Take the gravel road at mile marker 23 to the trailhead, then head down Mine Bank Creek Trail to meet up with the Saint Mary’s River Trail, which follows the river as it cascades through a steep canyon. If the big falls is too crowded for you, keep searching the river for a more private spot. Saint Mary’s is full of small falls and deep pools, perfect for a dip on a warm day. 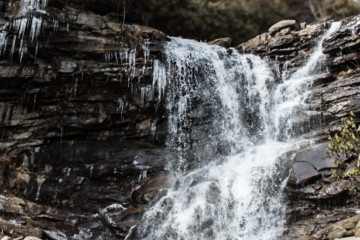 Runners Up: Whitewater Falls, N.C., Schoolhouse Falls, N.C., Crabtree Falls, Va., Jacks River Falls, Ga.
Less than a mile from the parkway and only half an hour from Asheville, Skinny Dip Falls attracts a bit of attention during the summer months. Which means you shouldn’t take the name too literally, unless you’re into that sort of exhibitionism. But the crowds don’t make it any less spectacular. The creek drops dramatically from the mountainside, emptying into two steep waterfalls, each with their own crystal clear pool. The water is leg numbingly cold and the gorge doesn’t get a whole lot of sunshine, so don’t expect to linger in the water. But the upper pool is deep enough for some low altitude rock jumping–a favorite of most visitors. Runners Up: Turtleback Falls, N.C., Wildcat Falls, S.C., Sugar Hollow, Va., Sliding Rock, N.C., Blue Hole, Va., Wilson Creek, N.C., Brown Mountain, N.C. There used to be gold in them there hills, but today, the only folks mining for gems in the Appalachians are families from Florida on their way to Gatlinburg. Perhaps it’s the fishing on the 365-acre lake, or maybe the stroller pushing along the seven-mile gravel road circling the lake that earned Salem Lake Best Urban Park from our readers. We would hate to think that it’s the miles of “illegal” singletrack throughout the woods packed with huge jumps, man-made obstacles, gulley walls, and natural drop offs that made this otherwise tame park your favorite this year. Walnut Creek Park pulled in a tight second, and for good reason. The 480-acre park comes equipped with 15 miles of multi-use trails, built by mountain bikers but used by everyone. Fat tire freaks love the big, 11-mile singletrack loop, trail runners love the smaller five-mile loop, and everyone is beginning to love the kickin’ disc golf course. The first team trail running event of its kind, 24 Hours for Africa challenges teams of 6-8 runners to complete five-mile trail loops in the scenic mountains of western North Carolina. Modeled after 24 hour mountain biking events, 24 Hours for Africa gives runners a chance to prove that they too can go all night long. 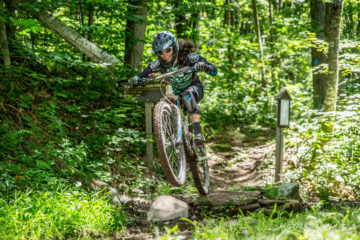 Taking place at Camp Rockmont in Black Mountain, N.C., 24 Hours for Africa offers a mix of flat, grassy trails and rugged singletrack. It’s a relay race without the logistics of vans and shuttles. All the food, fun, music, camping, festivities, and camaraderie are right at the trailhead. Best of all, 100% of the proceeds go toward building wells and schools for African villages, making your miles even more meaningful. More info: runforafrica.org. -Overheard on the edge of the massive drum circle surrounding a bonfire in the middle of Tent City at Trail Days, 2006. Alas, no virgins were sacrificed. Most Bizarre Moment: Watching hundreds of people dance in unison to no music at the Silent Disco Tent. Two climbers summit Siula Grande in the Peruvian Alps. When tragedy strikes, one climber is forced to cut his friend loose in order to survive. Miraculously, both climbers survived, making for some awkward conversations back at base camp. -Joe Simpson, the climber cut loose by his friend and climbing partner. “Straddling the top of the world, one foot in China and the other in Nepal, I cleared the ice from my oxygen mask, hunched a shoulder against the wind, and stare absently down at the vastness of Tibet.” -First sentence of the book that details one of the deadliest events in Mount Everest climbing history. Pies and Pints, Fayetteville, W.Va.
Cuban Pork Pie: Marinated pulled pork, caramelized onions, pineapple, cilantro, and crème fraiche. $10. Re-living your outdoor adventures over a pint with your buddies: priceless. Fact: Acid drainage from abandoned coal mines is the chief water quality problem in Appalachian states according to the EPA. 1.1 million acres of abandoned coal mines are polluting more than 9,000 acres of streams with acid drainage. Fact: Coal-fired power plants are responsible for 64 percent of America’s mercury emissions, the largest source of mercury pollution in the country. Mercury pollution affects the nervous system, kidney functions, and can lead to death. Fact: Coal fired power plants are responsible for 40 percent of the United State’s carbon dioxide emissions, the prime contributor to global warming. Fact: The practice of mountain top removal, the preferred method of coal mining today, has removed 500 square miles of mountains in the state of West Virginia. Coal companies clear cut forests, remove up to 800 feet of a mountain with explosives, and dump the debris in nearby valleys and rivers. 1,200 miles of streams have been buried by mountain top removal debris in West Virginia. Fact: More than half of America’s electricity is produced from coal fired power plants. Every day, the volunteer-based non-profit takes on the behemoth responsibility of conserving the most famous footpath in the world. They organize 30 different trail clubs and work with the National Park Service to ensure the 250,000-acre greenway stretching from Georgia to Maine is always in the best shape possible. What’s the worst job the ATC and its member clubs undertake? Hauling out the contents of privy toilets lining the trail. Today’s eco-warrior wears a suit. Like it or not, lawyers have become important voices in the modern environmental movement, and many of the country’s biggest environmental decisions are decided in the courtroom. Thankfully the Southeast is well represented by the Southern Environmental Law Center, which is responsible for protecting more public land, air, and water in the region than any other organization. SELC does it all with a staff of 40 attorneys (many from Ivy League law schools) who have passed up big corporate paychecks to defend public health and the environment. Amazingly, SELC is almost 100% donor-supported, and it partners with over 100 grassroots organizations across the Southeast. In November, SELC will square off against Duke Energy before the Supreme Court in a landmark case for clean air. The precedent-setting Supreme Court decision could close a long-standing loophole in the Clean Air Act and subsequently reduce power plant pollution emissions by 90% nationwide. Their list of accomplishments would make any athlete jealous. Brenda and Lee Simril have been tearing up the regional multisport scene for nearly a decade, and along the way they’ve notched podium placement at nearly every adventure race the Blue Ridge has ever seen. In the past five years they’ve helped the AR squad Team Litespeed become one of the best in the country, stamped with a 2002 USARA 24 Hour Adventure Racing National Championship. This year they each placed first in the male and female solo categories of Adventure 24. Their addiction to AR started in 2000 when Litespeed teammate Jay Curwen encouraged them to try the NOC 24-Hour Race. Going into it they didn’t have big expectations, and even surprised themselves after taking first place in their first race. They credit their immediate success to over 20 years of experience competing in triathlons. This year they went back to their roots, as Brenda was the top placing female at the Spring Beast of the East Half-Iron and Lee took first in the masters category of the YMCA Double Dip. They also get creative with their training-incorporating it into their workday commute, as they paddle together to Brenda’s office at Sequoia Nuclear Plant, where she is a fire-protection engineer, 30-minutes across the river near their home in Chattanooga, Tenn. Eight years ago this event emerged as Georgia’s first adventure race. 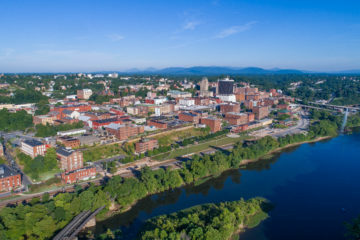 It’s since become a regional favorite, and its influence has helped bear many more comps in the Peach State’s portion of the Blue Ridge. 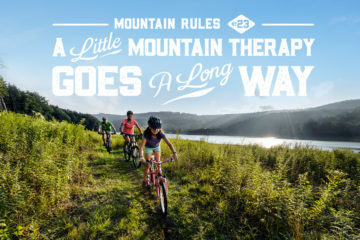 The race covers 35 miles on the trail systems of the Chattahoochee National Forest, mountain biking on steep singletrack, paddling the Toccoa River, and even encountering a few mysterious obstacle courses along the way. Who doesn’t love the beach? Maybe that’s why our readers gave major props to the Sandman Triathlon, calling it their favorite multisport bash in 2006. Virginia Beach’s annual late fall race-which will celebrate 25 years in 2007-sells out at 700 every year. It takes place in conjunction with the Neptune Festival-a summer-long celebration of the city’s sea faring heritage. Things start with a chilly fall open-ocean 1K swim in the Atlantic before a sandy transition to a 14-mile oceanfront road ride. The race finishes on the boardwalk with a flat and fast 5K. RATS (Reston Area Triathletes), Reston, Va.
TriCats (Capital Area Triathlon Club), Washington, D.C.
Great Smoky Mountains Triathlon Club, Haynesville, N.C.
Big Lick Triathlon Club, Roanoke, Va.